Halli Krzyzaniak of Neepawa has signed a contract with the Calgary Inferno of the Canadian Women's Hockey League (CWHL). In a media release announcing the move, the Inferno noted that the signing of the 23-year-old defensemen should add some depth to their blue line for the upcoming season. Geri Cooke has claimed the top score at the 2018 Senior Ladies Tournament, held at the Neepawa Golf and Country Club (NGCC) on Thursday, Aug. 2. The Minnedosa resident put up a solid round of 84 over 18 holes, five shots clear of her nearest competition. Sometimes I am asked questions about the Neepawa Natives hockey team. The team follows a common model for Neepawa, you own the team in much the same way as the Yellowhead Centre, the Neepawa Curling Club and the Neepawa Golf and Country Club. All four organizations are run by an elected board selected at their respective annual meetings. Read more: Sometimes I am asked questions about the Neepawa Natives hockey team. Neepawa Natives - What does the Neepawa Natives Junior “A” Hockey Club stand for? What does the team mean for the community, players and alumni? Read more: Neepawa Natives - What does the Neepawa Natives Junior “A” Hockey Club stand for? Neepawa Natives - Team billet program known across Canada and U.S. 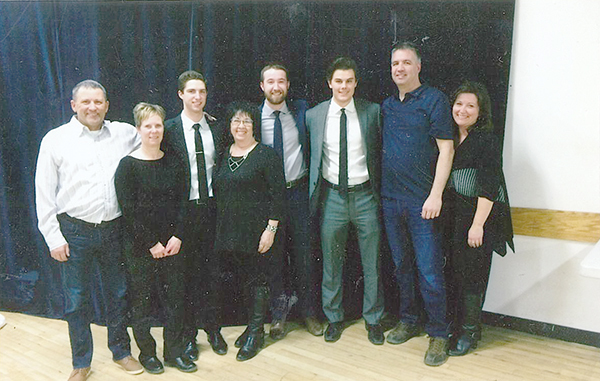 Team Billet Co-ordinator Mary Ellen Clark (fourth from left) and a few of her many “boys” and their parents. The Neepawa Natives Junior ‘A’ Hockey Association has a very well organized billet program. Players homes are visited and we ensure it is a good family home. If possible we billet two players together if the billet family has the available accommodations. Read more: Neepawa Natives - Team billet program known across Canada and U.S.